Snow might be the talk of the town today, but Brick is already gearing up for summer. 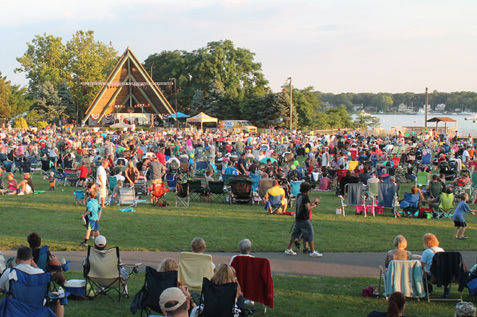 The township announced this week that it has signed a $30,250 contract with LaGuardia Associates to produce this year’s Summerfest series, which is funded through corporate sponsorships. “Every Summerfest has fireworks, food vendors, the beer and wine garden and great partners,” said Mayor John Ducey. Ducey said The Infernos were added to the lineup based on public demand, and The Amish Outlaws were retained because the band helped draw the largest Summerfest crowd in history last year when they performed.